Explanation: The Sea-viewing Wide Field-of-view Sensor (SeaWiFS) instrument onboard the orbiting SeaStar spacecraft can map subtle differences in Earth's ocean color. 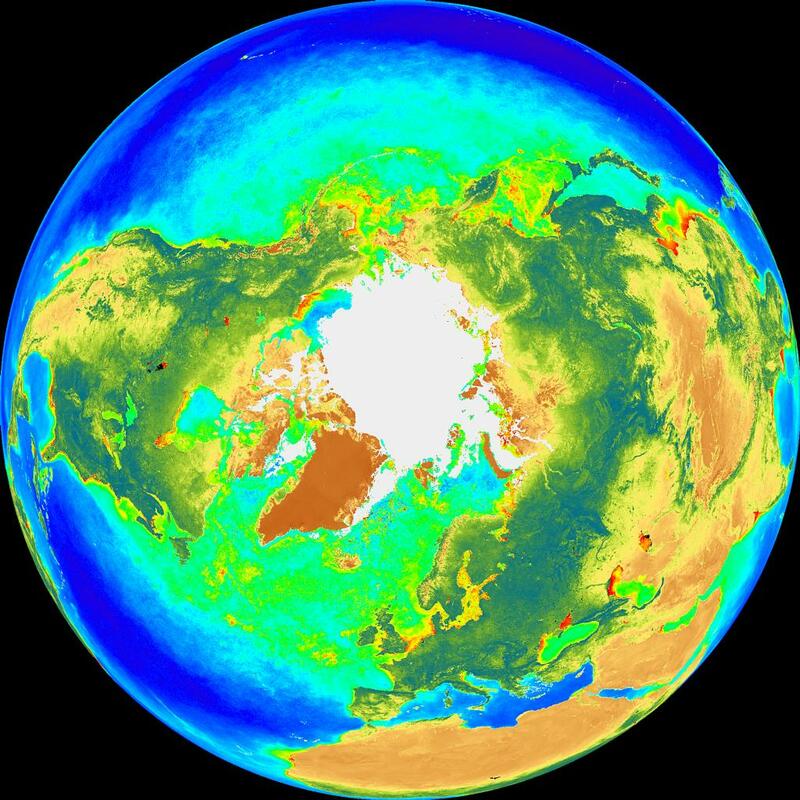 These North (left) and South Pole projections are based on SeaWiFS measurements made between September 1997 and July 1998. The "color" strongly depends on how sunlight is reflected by free-floating phytoplankton - photosynthesizing organisms which contain chlorophyll. Chlorophyll absorbs blue and red light and reflects green. 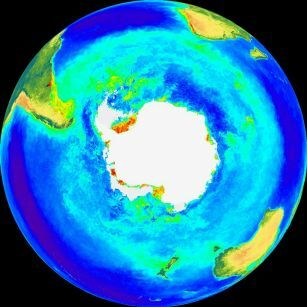 Since the tiny phytoplankton are tremendously important, forming the beginning of the food chain for sea life, SeaWiFS color maps can help track the activity of ocean planet Earth's biosphere.